The software program Curriculum Curiosity. Interactive constructor is intended to develop every child's essential gift - imagination! The magic constructor is a group of 5 interactive workshops, which allow children to play as well as to explore the world around them. In every workshop children can design images with different natural and construction materials, geometrical figures or use ready templates for creative work. And any child, of course, would be delighted to play with his or her own hand-made theatre! 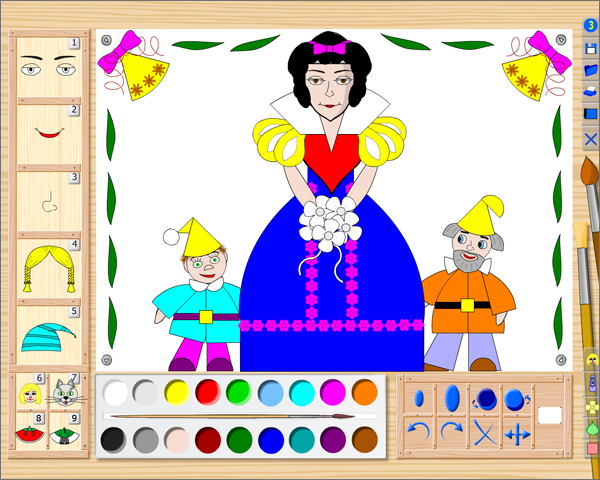 Paper Theatre - creation of paper doll theatre and stage role-playing games. In order to create optimal conditions for children's development, the amount of presented objects on a screen is limited to each age group's psychophysiological abilities accordingly. The highest difficulty level suggests the simultaneous work in all of the 5 workshops and allows saving the progress as a child switches in between the workshops. 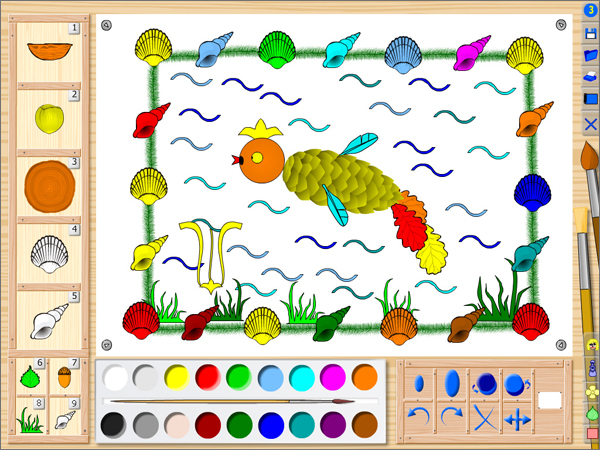 This feature opens unlimited possibilities for talented children. Specific topical division and program's structure are aimed at children development according to their abilities. The design of the program suggests maximum involvement in the creative process, rather than simply an end result. 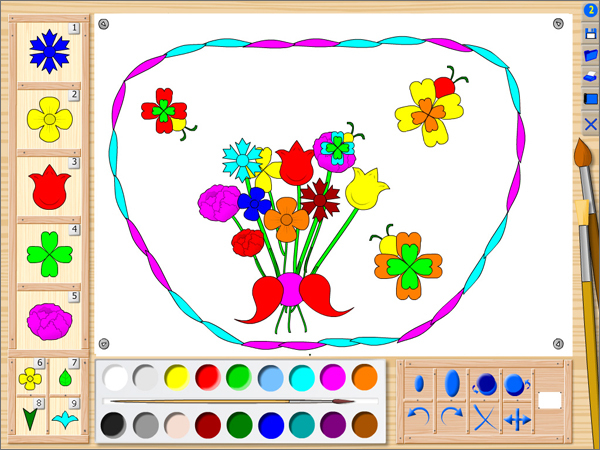 Any artwork can be saved and updated anytime with various elements from other workshops. 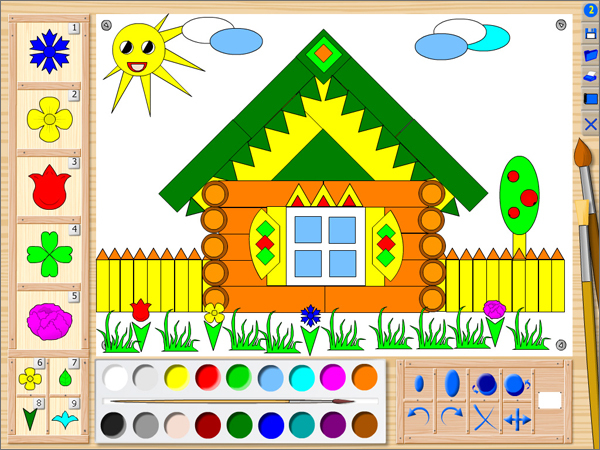 Such approach gives boundless possibilities for creative activities of a child. Certain sections of the software may be used to expose difficulties in children's development and help a teacher, or psychologist address these issues accordingly. analyse and recognize the world around them. It's very important that children will develop their personal skills: self-dependence, creative initiative and self-control, as well as improve their strong will and ability to learn. As a result children become problem solvers, innovators and creative thinkers.